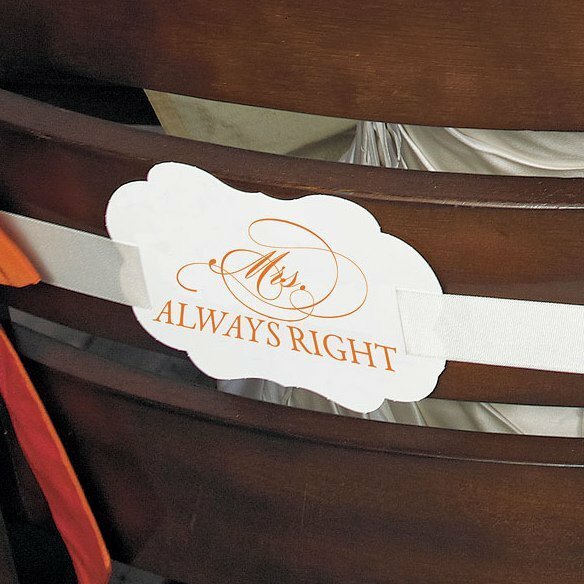 Start your new life together off right with a little humor! 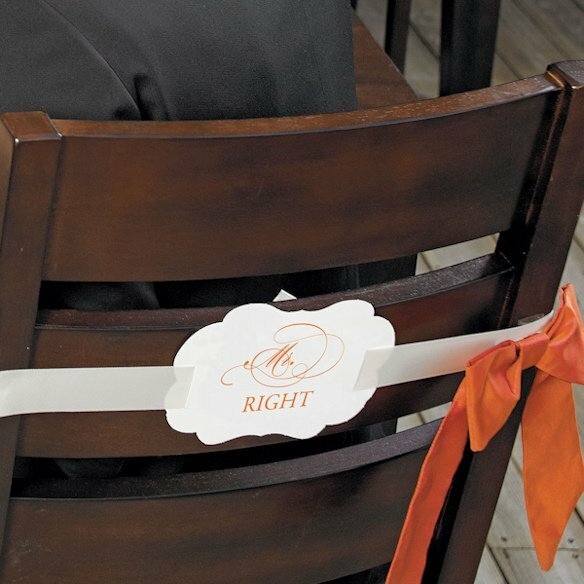 Designate the bride and groom's reception chairs with "Mr. 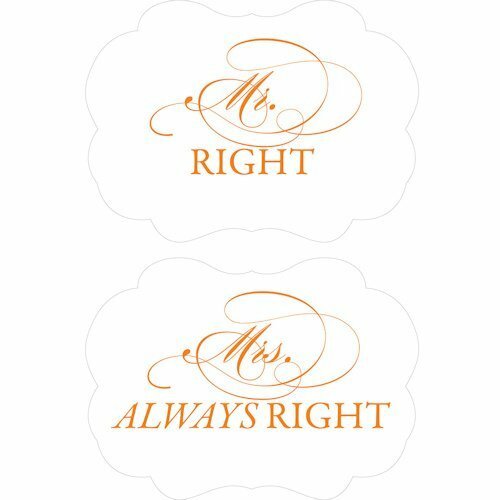 Right" and "Mrs. 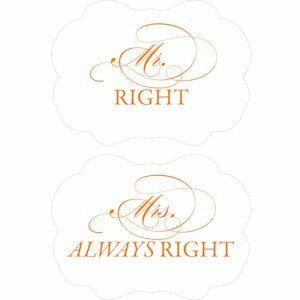 Always Right" signs. 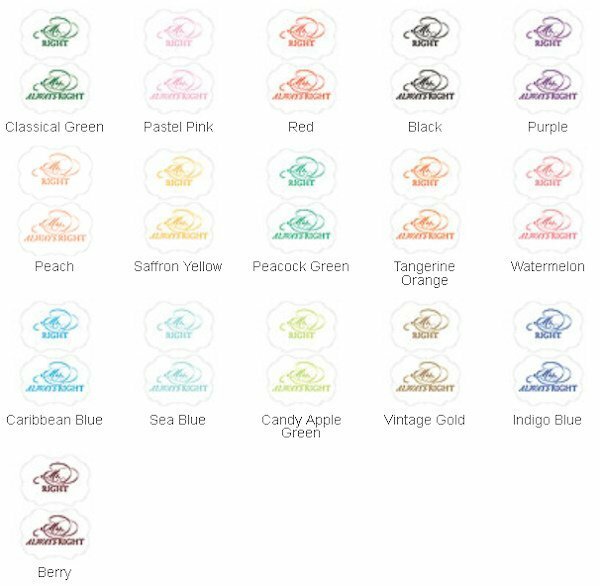 Choose from a variety of popular colors to match your theme. Each sign measures 7" wide x 5" high. Note - This item includes a personalization, color, size or design option: Select Color (View Color Options) (Free of charge). You may specify this information during our checkout process.